Base on trending report as the trial of 33-year-old Vincent Amago, who is accused of cultivating Indian hemp in a large farm, commenced on Wednesday at a Jos Federal High Court, the News Agency of Nigeria, reports. NAN reports that the National Drug Law Enforcement Agency, at the arraignment of the defendant, told the court that he was caught with 1,351kgs of Cannabi Sativa, popularly known as Indian hemp. 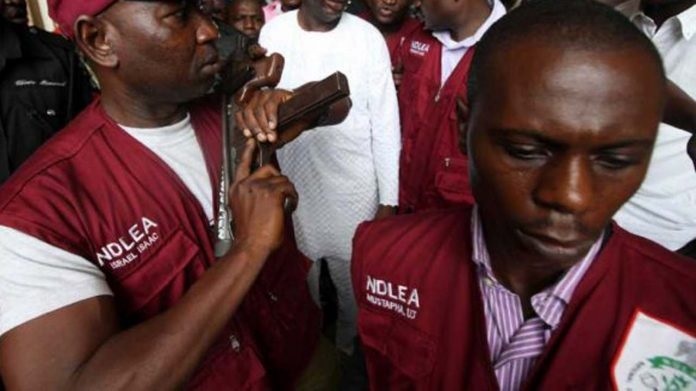 The NDLEA prosecuting counsel, Mr. Bundi Suleiman, had told the court that operatives of the agency arrested the defendant on November 29, 2017, at his residence at Kumbul village in Richa District of Bokkos Local Government of Plateau State. According to Suleiman, the offence contravenes Section 19 of the NDLEA Act Cap N30 Law of the Federation 2004. The defendant had denied committing the offence and was granted bail by the court. At the resumed hearing on Wednesday, Suleiman told the court that he had two witnesses ready to testify in the case. Led in evidence by Suleiman, Mr. John Joshua, prosecution witness 1, told the court that he arrested the defendant on November 29, 2017. Joshua told the court that he and his colleague, Mr. Michael Yelleng, in the company of military officers of Operation Safe Haven, on information, arrested the defendant at Kumbul village in Richa District of Bokkos. “On that fateful day, we went to the residence of the accused; when we knocked on the door, he opened it for us and we told him of our mission. “To our utmost surprise, his entire house was like a store; it was filled with substances suspected to be Indian hemp. “We arrested him and packed so much quantity into our vehicles, but we had to leave some behind because the vehicles were filled up with no space to carry more, ’’ Joshua claimed. The witness said that the quantity they packed weighed 768Kg, and when tested, it was certified to be Indian hemp. Yelleng, another witness, also testified and corroborated the claims by the first witness. The prosecution then sought for an adjournment to call more witnesses after the defense counsel, Mr. A. Shaddrach, had cross-examined the two prosecution witnesses. Justice Dorcas Agishi thereafter adjourned the case to December 21, for continuation of hearing.